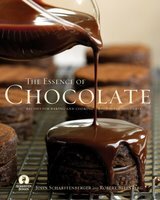 If I were going to adopt a chocolatier, it would be Chuck Siegel, the big-hearted owner of Charles Chocolates. That's why I was delighted to hear that the folks at his California-based chocolate company were extending me their "family discount" for the holidays. They've also asked me to pass the familial cheer on: anyone who uses the coupon code HOLIDAYSALE at the Charles Chocolates online store between now and Friday (December 15) will receive a 25% discount on everything from single canisters of brand-new triple-chocolate hazelnuts to one-pound boxes of flavor-bursting chocolate bon bons. Bay Area residents even get free shipping (when they type FREESHIP in the comments box). That's a pretty good deal, but San Franciscans who want to share chocolate with their loved ones for even less should head to the Free Chocolate exhibit at the Intersection for the Arts. The show of installation pieces by April Banks is indeed free of charge, but her arresting images of the living conditions of cacao workers in the developing world reveal that chocolate does not come without a cost. Siegel and Banks have more in common than their proximity to the Golden Gate Bridge. They are both professionals in a chocolate capital city who pay attention to the meaning of ingredients. Siegel uses organic herbs and locally-produced dairy products from the Straus Family Creamery because he feels the responsible farming techniques behind those ingredients are worth the investment (he hasn't yet found an organic couverture that he's satisfied with, but he's open to the idea of using one). Banks has traveled to Ghana and Cuba and spent several years researching the complex economic realities of the cacao trade, in order to create art that stimulates people to think about the politics of chocolate. Ethics--like chocolate--make a great gift this season. Inspiringly, American chocolate companies up and down the West Coast are invested in the organic, sustainable, and fair trade movements. Dagoba (whose gift boxes are brimming with multi-flavored organic chocolate bars) and Scharffen Berger are two of the most influencial. Ideologically, these chocolate makers have a lot in common, and now they share a parent company as well--Hershey's. It's difficult to sort out the implications of an old-fashioned, big-business chocolate company like Hershey's entering the artisanal market, but reading more about the subject is one way to start. 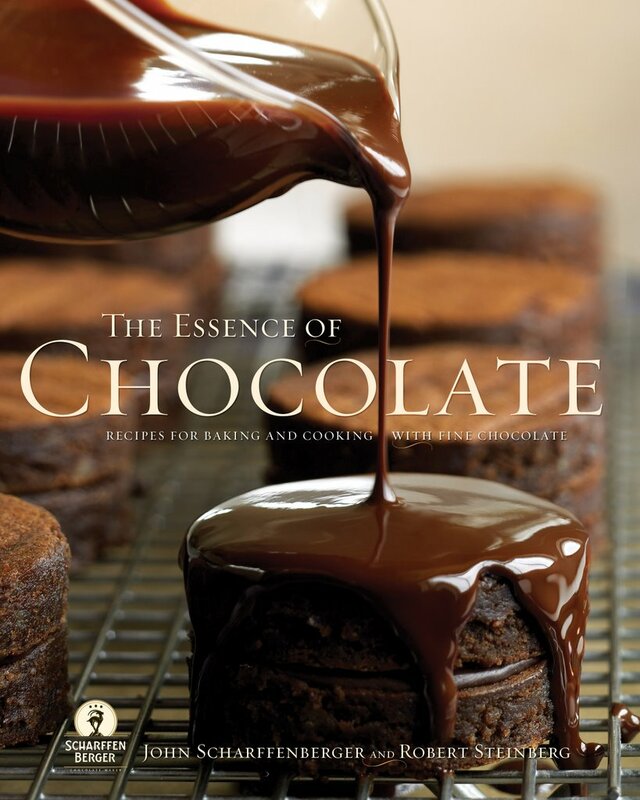 Conveniently, Scharffen Berger founders John Scharffenberger and Robert Steinberg have penned a new book called The Essence of Chocolate, filled with gallery-quality photos from kitchens and cacao plantations around the world. East Coasters who want to purchase their chocolate responsibly (in the political sense, not the dieting sense) have several rousing opportunities as well. The chocolatiers at Vere in New York are so proud of their work with sustainably-grown, pesticide-free cacao that they're opening the doors of their factory at 12 West 27th Street to the public. According to Sugar Savvy, guests will be welcome at Vere through the end of the day on Friday (December 15) and are eligible for a for a 20% discount on purchases. New York Magazine recently turned its attention to several local chocolate movers and shakers, including painter-guitarist-chocolatier Monica Passin of Painter Girl Chocolates, who donates the profits of her Laissez Les Bon Bons Roulez truffles to the New Orleans Center for Creative Arts. Across the pond, Londoners are also hip to the hop about chocolate. The British city is swarming with experts who see chocolate as meaningful, in addition to flavorful. Chantal Coady of Rococo (who was leading the "Campaign for Real Chocolate" as far back as 1986) stocks Grenada Chocolate Company bars, produced in the country of origin. I lived in that area when Hurricane Emily came through and it's not a climatic event that I'm proud to share my name with, but I am very pleased about the Grenada Chocolate Company's Limited Edition Hurricane Emily Bars--Rococo sells them and donates £1 from each sale to help rebuild homes near the Grenada cacao plantation. Seventypercent.com, an epicenter of innovative chocolate thought in London, has thrown it's weight behind another developing-world chocolate company, Malagasy. The Madagascar-made couverture is available at Seventy Percent's online store and direct from Malagasy. 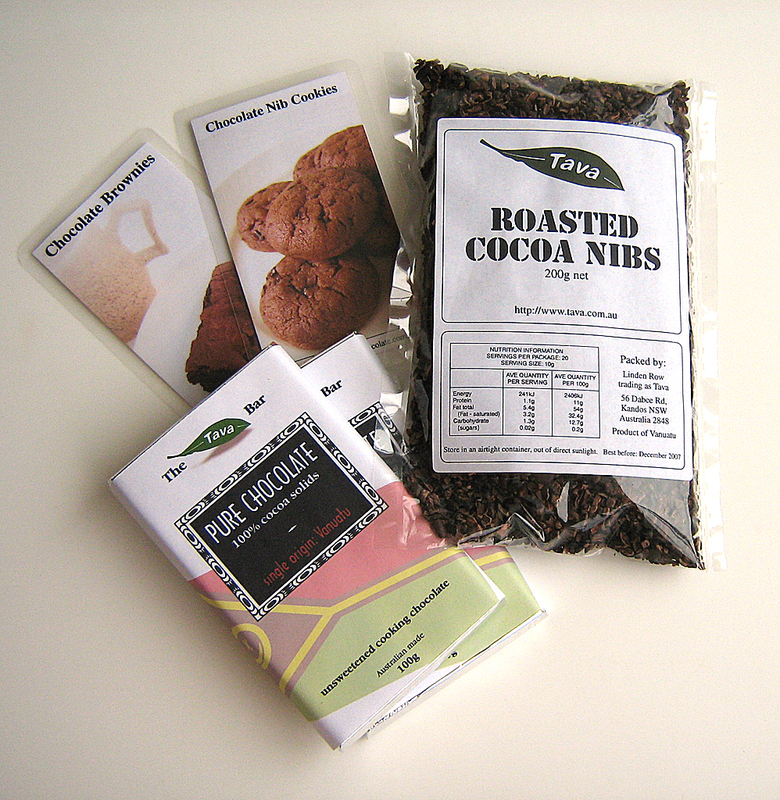 And on the other side of the world, much closer to home for me, Tava produces chocolate from the raw ingredients, with the tag line "naturally ethical." 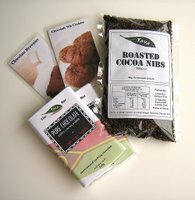 Not only does Tava offer unsweetened chocolate and roasted cacao nibs (products that are practically unheard of in Australia), but owners Samantha Madell and Langdon Stevenson are intimately involved with the operations on cacao plantations in Vanuatu, ensuring that growers are compensated fairly and that crops meet the highest standards. Madell and Stevenson sent me a package of Tava products as a gift this week. What a great idea! and I have also seen another brand in organic stores. Have you tasted Yachana chocolates? They're rather tasty; cocoa nibs enrobed in cane and reduced pineapple syrup. Ther're really unusual...dont' know if you can get 'em where you live, but definately worth checking out.